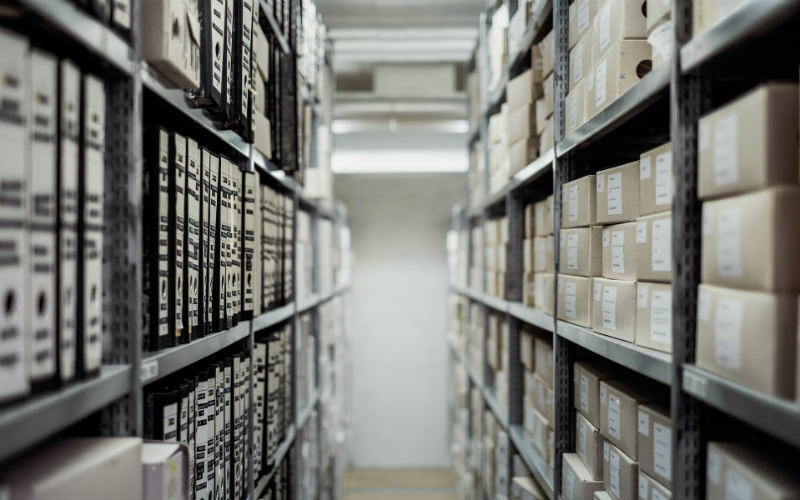 Depending on the size of your business, scope of services, number of bases in operation, and available resources, managing an efficient stores room and tracking inventory can be somewhat of a challenge. Regardless of business size and stock on hand, however, if you are not accurately maintaining proper inventory control, you are negatively impacting the company’s bottom line. To maximize profits, it is crucial to monitor stock levels and comply with industry best practices for managing inventory effectively. This will ensure you are able to carry acceptable stock counts without having to face running out of inventory or having too much stock on hand. Both of these scenarios can be significant burdens to any operation. To assist you with better managing your stores room and improving your supply chain management, the following six key tips are largely based on experience and knowledge gained at WinAir. When applied correctly, these six tips can save countless work hours, preserve capital and enhance business efficiencies. To ensure parts within a stores room are easily identified and located during busy times, it is imperative for the location of parts to be clearly defined on the parts label when received. A recommended method to use is a 6-code bin-location system consisting of: Building, Room, Row, Section, Shelf and Box. It is better to use an alpha-based system, as opposed to a numerical one, since the former provides you with more options per character than the latter (26 letters versus 10 numbers). A code like AAAEFC, for example, would describe to a stores clerk that the part is located in Building A, Room A, Row A, Section E, Shelf F and Box C. If all stock is to always be housed in a main building and not at any other base, then this system can be applied using a 4-code structure, by using the titles Row, Section, Shelf and Box. Available software can assign parts by master locations, meaning it predefines where to put parts upon receiving, not the other way around. 2. Where did that come from? Another key element to managing a stores room more effectively is using a batch reference field. This field can be populated as consumable batches get split apart, which makes tracing back to the original Vendor Lot number a simple task. It can be vital for an operation to easily ascertain the original vendor, for example, if there is a recall on parts. A recall on defective washers could turn out to be a nightmare for a business that does not utilize a batch reference field. It would be horrible and costly to ground an aircraft (or multiples) because you do not know if the parts issued originated from the recall. Moreover, all suspected washers would have to be replaced. Software again can be leveraged to automatically inform an operator which batches were received under a particular recall notice, along with where those parts have been used. In order to run a smooth stores room and keep the accuracy of stock on hand, no parts should ever leave the room without a listed job that they were used on, along with corresponding details. This practice of real-time data processing benefits not only the stores room when issuing parts, but can also extend to other activities like receiving, shipping, returns, and so on. Stores departments can leverage a ‘No task Card, No Parts’ mentality. This means that if there is no job card to work with, then there is no reason to request the parts in the first place. A strict policy like this may seem rigid and overbearing, particularly to those technicians who follow their own set of procedures out of habit, but, in reality, one of your highest expenses is carrying stock. So when stock walks out of the room and cannot be traced, you end up with inaccurate counts, causing shortages or overages. This can be a tremendous burden for your organization. When all batches are issued to a task, there is always the ability to trace what went where and to whom. This will ensure that your accuracy stays at a high level. 4. Is too much ever enough? 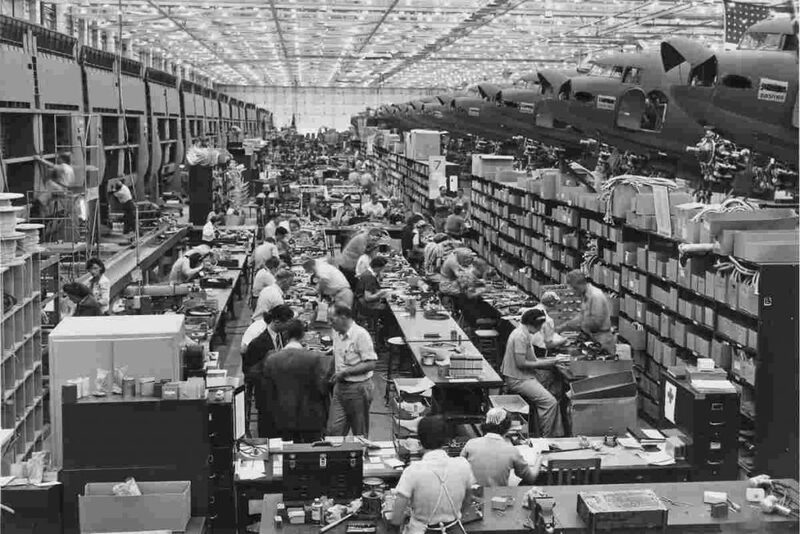 When managing stores rooms, especially those with various parts for various aircraft types, it is important that the principles of Min/Max are implemented. This is key to guaranteeing that you have adequate stock levels at all times, without exceeding what is economically feasible. Setting these values will benefit stores rooms of all sizes, and not just those of larger organizations. Individual parts can all have a master Min/Max level set, but this can be taken to another level, as software also allows for the setting of an economic value. When factored into the equation for restocking (how much do I need to order), you ideally want a number that complies with your minimum required stock level, while also not surpassing an economic level of your choosing. A good system should be able to recommend a reorder quantity without over-purchasing – as defined by the Max level. Min/Max values in any setup should be adhered to as closely as possible. Similarly, reporting should be done on a weekly basis to ensure that there will always be enough stock on hand. After all, you do not want to end up in a situation where technicians are unable to complete work tasks because someone forgot to order grease. 5. What exactly do we have here? Inventory counts are arguably the most despised part of any stores clerk’s job, but such counts are also one of the most critical functions they perform. In today’s aviation industry it is not uncommon for operators to perform counts on a biannual or, in some cases, quarterly basis. Simply put, regular stock counts ensure a more accurate current inventory. This goes hand-in-hand with the first four principles, as they all lead up to the inventory count. 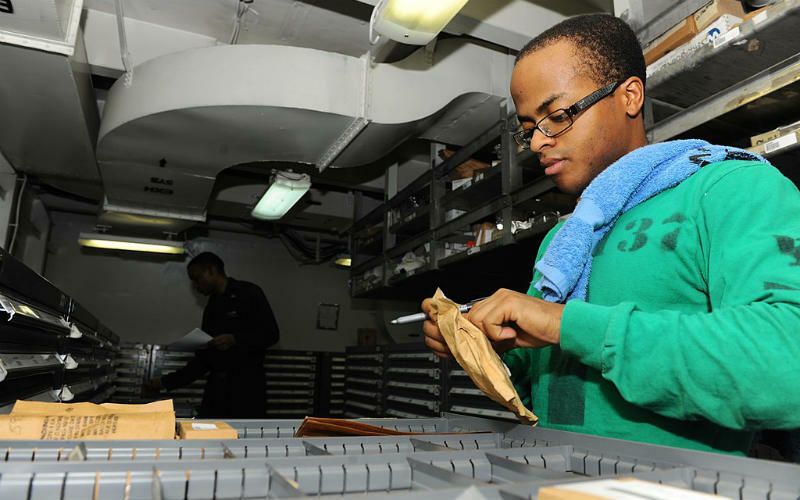 As time consuming as it may seem, the more frequently a count is performed, the more accurate your inventory. It can also result in quicker stock counts and bigger cost savings. I recommend that you take inventory one step further and facilitate cyclical stock counts. These types of counts occur all year long, simply by counting a few boxes a day. Quarterly and biannual stock counts are a real distraction to your team, because they take much longer to complete. This will cost a business more in terms of labour hours, as counts are often completed outside of normal work hours. In the grand scheme of things, it is easy to count each bin multiple times a year, without having to shut down the entire inventory room and make the exercise a big event. 6. Is this a fixer upper? Another area likely requiring more attention and consideration in your stores room is the quarantine area. Depending on the size of the operation, this can range from a single locked cage to an entire dedicated room with its own shelving system. It is critical to conduct consistent reviews of what is in your quarantine area, and actioning anything required on an ongoing basis (repairs, scrapping parts, sales, etc.). 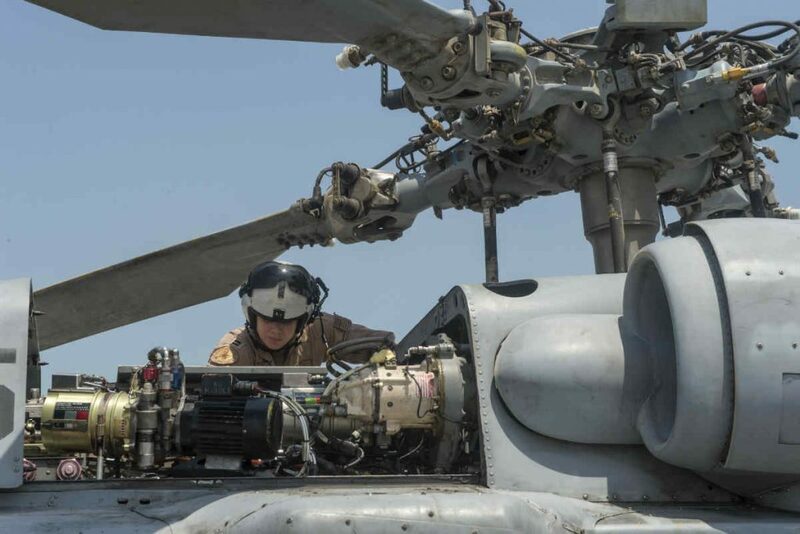 Addressing these issues in a timely fashion can save an organization on costs – not only from AOG situations, but also from having to constantly purchase parts (repairs can often be less expensive and fulfill the needs of the operation). A regular process of review and actioning allows users to always stay on top of the items within the quarantine area. A good system should also tag any items waiting to be actioned. Then the item is dispersed to the correct area by actioning and recording. This ability to manage your inventory and quarantine allows for greater overall organization of what is in your system and where. Michael Perrotta is a subject matter expert at WinAir, an industry leading aviation management software provider. info@winair.ca.